Alberto R. Timm, PhD,is rector of the Latin-American Adventist Theological Seminary, BrasÃƒÂ­lia, DF, Brazil. The Seventh-day Adventist Church in South America today has one of the highest rates of numerical growth and geographical expansion in all of Adventism. 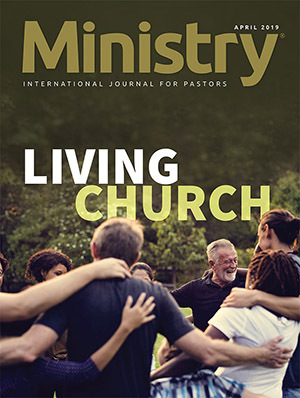 With the so-called integrated evangelism strategy and the “communion and mission” motto, ministers and members implement a well-planned, integrated program of sustainable growth for the church. Impressed by Brazil’s enthusiasm, G. Ralph Thompson, a former secretary of the General Conference, once referred to the country as a place where people seem to “breathe evangelism!”1 The same can be said about the other countries of South America as well. Yet, one may wonder how the church on that continent reached such a level of growth. Some may imagine that the growth expansion of the Adventist Church in South America comes just naturally from preaching to a receptive population. Undoubtedly, that region can be classified as much more open to the gospel message than some other parts of the world. Yet, instead of being just an accident, that positive experience was built across time through many efforts and ongoing methodological experiments.2 The present article highlights major turning points in the development of that experience. The first Seventh-day Adventists to arrive in South America were, as far as we know, a few German-Russian families who had been baptized in Europe and who immigrated in the 1880s to Rio Cunha, near Rio dos Cedros, Santa Catarina, Brazil.3 But sometime between 1879 and 1880, a package of Die Stimme der Wahrheit (The Voice of Truth) magazines had been already delivered at the harbor of Itajai in the same state of Santa Catarina.4 More literature in German and French reached various places of that continent, raising the interest in the Adventist message. Some correspondence from South America reached the Review and Herald office in Battle Creek, Michigan, begging for the visit of Adventist missionaries. In December 1891, three literature evangelists, E. W. Snyder, C. A. Nowlen, and A. B. Stauffer, arrived in Montevideo, Uruguay. Soon they moved from there to Buenos Aires, Argentina. Since neither of them understood Spanish or Portuguese, and only Stauffer spoke German, they started working mainly among German and English immigrants, trying to reach, whenever possible, people already interested in the Adventist message. Many other literature evangelists came during the 1890s. The fi rst baptisms were held by F. H. Westphal (who arrived in Argentina in 1894)5 and other ministers. In 1970, Belvedere introduced in the Buenos Aires Conference the so-called Semana Santa (Holy Week) evangelism, with preaching taking place every evening during the week prior to Easter. That experiment was composed of 147 parallel series in different neighborhoods, 17 “Voice of the Youth” programs, besides several meetings conducted by pastors. There were 262 lay preachers, young adults and adults, involved, supported by some 600 lay people. More than 4,300 non-Adventists attended the meetings.12 From there the Semana Santa evangelism has spread throughout South America, becoming an important outreach tool. In those days, radio was very popular, and such high-quality programs helped both to build a good reputation for the church and to raise much interest for the Adventist message. Local areas even used the name “Voice of Prophecy” in advertising the evangelistic campaigns conducted in their territories. The strategy helped to not only open the doors of places not yet receptive to the name “Seventh-day Adventist Church” but also to more effectively reach at least some of the scattered listeners of the program. But many listeners remained unreached and ended up joining other evangelical denominations. These and several other initiatives reached their climax with the development of a network of radio and TV stations called Novo Tempo (in Portuguese) and Nuevo Tiempo (in Spanish). The TV stations are branches of Hope Channel. Meanwhile, the Web sites www.esperanca.com .br (Portuguese) and www .esperanzaweb.com (Spanish) provide basic outreach support. The whole communication network is coordinated by the Adventist Communication System, located initially at Nova Friburgo, Brazil, and presently in Jacareí, in the same country. 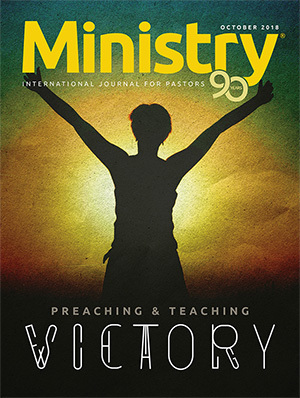 Preaching to larger audiences A new outreach phase, resulting in large audiences, was introduced in the late 1980s in Brazil by the Peruvian youth director Alejandro Bullón. In 1986, Bullón organized a youth camp meeting in Itabuna, Bahia, with a gathering of more than 10,000 Adventist young people from several parts of the country.22 That successful camp meeting provided the basic experience for launching even larger stadium-level revival and evangelistic crusades. The fi rst crusade took place in 1988 under the name “Projeto SOL” (Week of Prayer and Praise) at the Ibirapuera Gymnasium, in downtown São Paulo, with an estimated audience of more than 30,000 people.23 In preparation for the event, Adventist young people were encouraged to (1) develop a closer friendship with another non-Adventist young person, (2) encourage that person to participate in an interesting Friday sunset worship in the family circle, (3) study the Revelation Seminar, and (4) attend a church service in a special Sabbath setting.24 A specific appeal was made at each of the eight evenings of Projeto SOL, for those visitors to accept Christ as their Savior and Lord. During the following two decades, Bullón held similar events in many other cities of Brazil and every other country of the South American area with a program of Christ-centered and existential emphasis that could last for a whole week (Projeto SOL) or just a weekend (Projeto Revive). 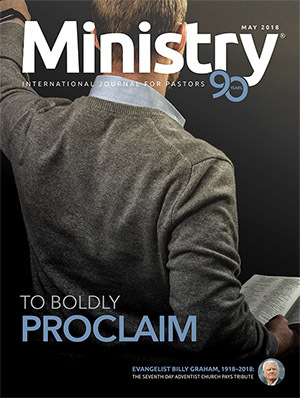 Inspired by the North American “NET ’95,”25 a nine-day evangelistic program with Mark Finley was launched in the city of São Paulo in June 1999 as “Atos 2000” (Acts 2000). From the Brazil Adventist College—São Paulo Campus—the program was satellite broadcast to many Brazilian churches and other Portuguese-speaking countries around the world, being watched by an estimated 200,000 people.26 The next year, Henry Feyerabend and Joel Sarli presented the series “Esperança 2000” (Hope 2000) at the Vila Formosa Church in the city of São Paulo. Comprised of 27 evangelistic doctrinal sermons, the program was satellite broadcast to the countries of Brazil and Portugal. In central Brazil alone, 1,800 satellite dishes had been installed in churches, auditoriums, and private homes so that some 300,000 people could watch the program.27 Since then similar projects have been implemented in other parts of Brazil and, to a smaller scale, in some other South American countries. In November 1981, the Executive Committee of the Adventist Church in South America voted to implement the so-called Pioneer Project. 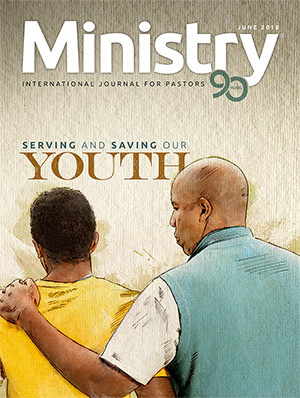 It was recommended specifically that on Sabbath, March 27, 1982, at least one evangelistic unit Sabbath School class of each local congregation should leave its “mother church” on a permanent basis in order to establish a new Adventist nucleus.31 Such projects paved the way for the adoption and consolidation of the small group plan. By 1982, Paul Yonggi Cho’s influential book Successful Home Cell Groups32 was available in English, Spanish,33 and Portuguese.34 Soon the small group strategy took off in different parts of South America but without much continuity. 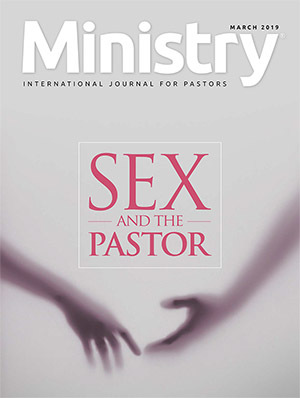 Yet, with time, it became one of the most significant church-growth strategies of the church in Peru.35 The success of the Peruvian experiment inspired the church’s leadership to adopt that strategy into its basic outreach program. “Integrated evangelism” took into account all of the previously mentioned outreach programs of the church. 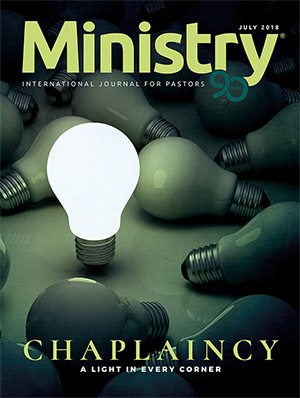 The integrated evangelism concept evolved into major evangelistic projects, including denominational administrators, department directors, institutional workers, district pastors, and lay people.36 More recently, the program was broadened in order to encompass a much larger spectrum of strategies with every segment of the denomination using its own resources to fulfill its evangelistic mission as effectively as possible. A good example of such integration of forces and methods is the “Impacto Esperança” project (Hope Impact) implemented in 2008 throughout South America. The project reached its climax on Sabbath, September 6, 2008, with the distribution of 20 million printed brochures and 25.5 million printed pamphlets about the Second Coming, besides a massive sharing of the whole content of the brochure in audio, video, and PDF formats. Special issues of the Revista Adventista in Portuguese37 and Spanish38 described how every department and institution should participate in the project. For instance, the area’s two publishing houses donated the printing of the pamphlets, its two food factories sent out large quantities of brochures for their clients, and many educational institutions organized special distribution projects in towns and villages without a significant Adventist presence. Besides its spiritual-evangelistic potential, the project generated a strong psychosocial feeling of belonging to a dynamic church that enthusiastically fulfills its mission to the world. Conclusion Sociocultural realities differ from one place to another, and there are places more resistant to the everlasting gospel than others. But the experience of the Adventist Church in South America demonstrates once more that sustainable church growth and expansion does not happen just by itself. Growth comes as a result of much planning, many experiments, and persistent labor while trying to integrate all personnel and institutional forces into a major, well-planned outreach program. The president of the Adventist Church in South America, Erton Köhler, notes that “concerns with growth in quantity should never undermine quality. We can grow much, but we should grow well. 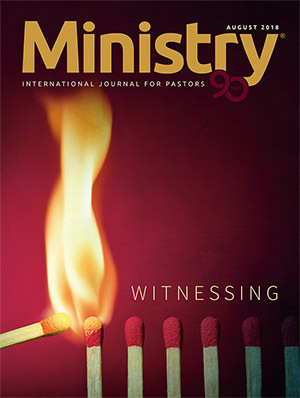 For this, we need to stimulate every church member to fulfi ll their role as a missionary.”39 In reality, the strong outreach focus in South America is largely due to the solid cooperative involvement of church workers and lay members in the mission of the church. 1 G. Ralph Thompson, (lecture in P. Gerard Damsteegt’s class “GSEM534: The Writings of Ellen G. White,” Seventh-day Adventist Theological Seminary, Andrews University, January 17, 1990). 2 The most comprehensive history of the Seventh-day Adventist Church in the territory of the South American Division is provided by Floyd Greenleaf, The Seventh-day Adventist Church in Latin America and the Caribbean, 2 vols. (Berrien Springs, MI: Andrews University Press, 1992). 3 Victor Vicenzi, História de Rio dos Cedros (Blumenau, SC, Brazil: Fundação “Casa Dr. Blumenau,” 1975), 124, 125. 4 Germano Streithorst, “O Início de Nossa Obra,” Revista Adventista (Brazil), March 1958, 29. Recent research by Tiago Pereira, a theology student at Brazil Adventist University College (Engenheiro Coelho Campus), confirmed the validity of 1879–1880, instead of 1884, as sometimes suggested. 5 See F. H. Westphal, Pioneering in the Neglected Continent (Nashville, TN: Southern Publishing, 1927). 6 Carlyle B. Haynes, “A Larger Evangelism,” South American Bulletin, Feb. 1927, 1. 7 Carlyle B. Haynes, “The Buenos Aires English Effort,” Advent Review and Sabbath Herald, Aug. 30, 1928, 18, 19. 8 Carlyle B. Haynes, “Every Convert a Convert Maker,” 7-part series in South American Bulletin, May 1929, 1, 2; June 1929, 1; July 1929, 1, 2; Aug. 1929, 1; Sept. 1929, 1; Oct. 1929, 1; Nov. 1929, 1. 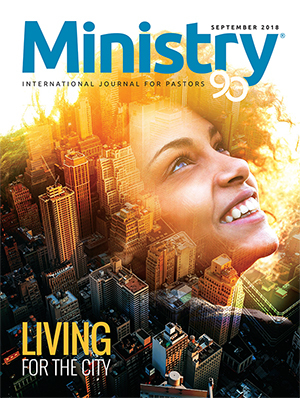 9 James W. Zackrison, “Church Growth in Inter-America,” Ministry, Sept. 1977, 14. 10 Daniel Belvedere, Obituary of “Schubert,” Revista Adventista (Argentina), May 1981, 19. 11 See Rubén Pereyra, “História da evangelização na América do Sul,” Revista Adventista (Brazil), Oct. 1976, 16–18; Salim Japas, “A Strategy for Seventhday Adventist Public Evangelism within a Roman Catholic Society Context in Hispanic America” (DMin project report, Andrews University, 1978). 12 Daniel Belvedere, in “Entrevistas—No. 1,” El ministerio adventista (Argentina), July–Aug. 1971, 9, 10. 13 See Milton Peverini García, Vida de Braulio Pérez Marcio, fundador de La Voz de la Esperanza (Nampa, ID: Pacific Press, 2007). 14 See Léo Ranzolin, Uma voz dedicada a Deus: A vida de Roberto Rabello, o inesquecível orador da Voz da Profecia (Tatuí, SP, Brazil: Casa Publicadora Brasileira, 2007). 15 L. H. Lindbeck, “Empezó ya la ‘Ofensiva Aérea,’ ” La Revista Adventista (Argentina), Aug. 16, 1943, 11. 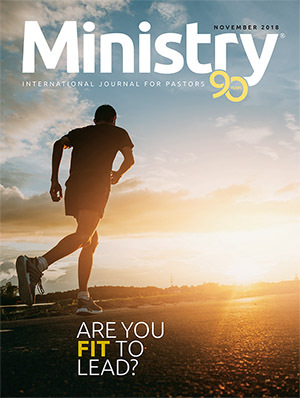 16 “Minifi liais de A Voz da Profecia,” Revista Adventista (Brazil), March 1979, 28; “VP: Em 36 anos, 400 mil emissões,” Revista Adventista (Brazil), Dec. 1979, 21. 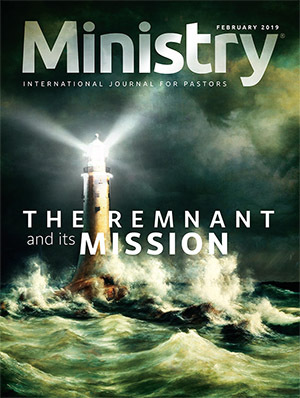 17 “Possibilidades missionárias na rede,” Revista Adventista (Brazil), July 2002, 28. 18 R. M. Rabello, “Pregando pela Televisão,” Revista Adventista (Brazil), Oct. 1963, 17. 19 Enrique Chaij, Ese chico travieso … llamado por Dios (Buenos Aires: Ediciones E, 2005), 67–100. 20 Roberto Conrad Filho, “’Encontro Com a Vida’ na televisão,” Revista Adventista (Brazil), Sept. 1988, 12, 13. 21 Assad Bechara, “Vai ao ar o Está Escrito,” Revista Adventista (Brazil), Nov. 1991, 41. 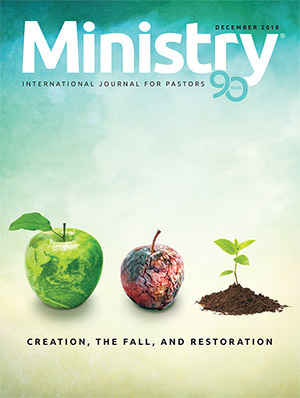 See also “Empresários adventistas querem integração” and “Empresários adventistas fazem congresso,” Revista Adventista (Brazil), May 1991, 17–19. 22 Wilson de Almeida, “Campal reúne dez mil jovens,’” Revista Adventista (Brazil), Aug. 1986, 20–25. 23 “Ginásio do Ibirapuera recebe público recorde durante Projeto SOL,” “SOL ilumina as noites do Ibirapuera,” Revista Adventista (Brazil), Sept. 1988, 17–21. 24 “Pastor Bullón explica Projeto Sol,” Revista Adventista (Brazil), April 1988, 20. See also “Projeto Sol visa a não-adventistas,” Revista Adventista (Brazil), March 1988, 20; “Programação no Ibirapuera será ‘espetacular, mas não show,’ ” Revista Adventista (Brazil), June 1988, 20, 21. 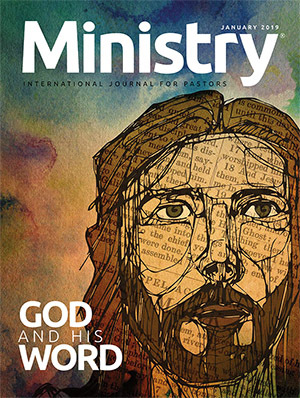 25 William G. Johnsson, “The Most Ambitious Evangelistic Project Ever,” Adventist Review, Feb. 1995, 8–10; Monte Sahlin, “NET ’95 Brings Families Together,” “ ‘The Story’ Behind NET ’95,” Adventist Review, May 1995, 6, 7, 20; “NET ’95 Brings Nearly 5,000 Baptisms,” Adventist Review, Aug. 17, 1995, 6. 26 Vanderlei Dorneles, “Atos 2000 reforça o uso do satélite na pregação,” “O evangelismo na era do satélite,” Revista Adventista (Brazil), July 1999, 13–16. 27 Paulo Pinheiro, “Esperança 2000 alcança 2 mil auditórios,” Revista Adventista (Brazil), July 2000, 22, 23. See also Márcia Ebinger, “União Central lança evangelismo 2000,” “É tempo de ver Jesus,” Revista Adventista (Brazil), Feb. 2000, 13, 16; Agatha Dias Lemos, “Estudantes de Teologia se preparam para o Evangelismo 2000,” Revista Adventista (Brazil), April 2000, 24. 28 Sabbath School Department of the General Conference of Seventh-day Adventists, The Sabbath School: Its History, Organization, and Objectives, rev. ed. (Washington, DC: Review and Herald, 1938), 164–67. 29 Mario Veloso, “Koinonía” (includes an interview), El ministerio adventista (Argentina), July–Aug. 1979, 6–9. See also Veloso, Manual de Koinonías (Buenos Aires: Departamento de Jóvenes de la Unión Austral, 1972). 30 Daniel J. Rode, “ ‘Para que su iglesia fl orezca’: Factores que promueven el crecimiento de iglesia. Parte IV,” DavarLogos, vol. 3, no. 1 (2004): 61. 31 “Liderança da DSA lança projetos missionários,” Revista Adventista (Brazil), Jan. 1982, 24. 32 Paul Yonggi Cho, Successful Home Cell Groups (Plainfi eld, NJ: Logos International, 1981). 33 David [Paul] Yonggi Cho, Grupos familiares y el crecimiento de la iglesia (Miami, FL: Vida, 1982). 34 Paul Yonggi Cho, Grupos Familiares e o Crescimento da Igreja (Miami, FL: Vida, 1982). 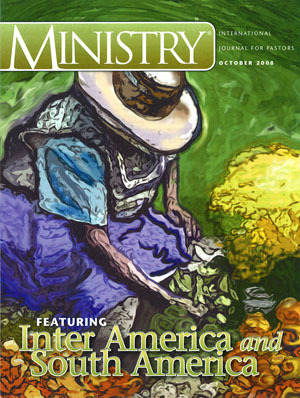 35 See, for example, Werner Mayr, “El Espiritú sorprende al mundo,” Revista Adventista (Argentina), July 2000, “Informe DSA,” 5–8. 36 See “Evangelismo integrado,” Revista Adventista (Brazil), July 1999, 28; Vanderlei Dorneles, “A igreja unida na missão,” Revista Adventista (Brazil), Sept. 1999, 18, 19; Alejandro Bullón, “Integrated Evangelism,” Ministry, Oct. 2003, 14, 15. 37 See Revista Adventista (Brazil), May 2008. 38 See Revista Adventista (Argentina), June 2008. 39 Erton Köhler, “Desafi os e sonhos do novo líder” (includes an interview), Revista Adventista (Brazil), Jan. 2007, 7.